IT'S THE TOAST OF PARIS. Just stamp your baguette, pop it in le toaster, and suddenly you're relaxing along the Champs Elysees. 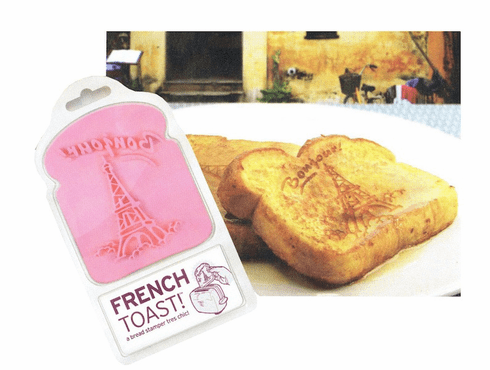 FRENCH TOAST is parfait - know what I'm Seine?